It’s been several days since I got back from Westercon68 in San Diego, but they have been very busy days that prevented me from having time to write much about the experience. First, only one full day after my return, my daughter got back from the People’s Republic of China, where she had been for a few weeks on a cultural exchange visit. I was tasked with picking her up at LAX, a feat made more interesting by the developing case of cellulitis that I had in my right leg at the time. It bloomed into full-blown swollen, red, hot, painful nastiness the following day and resulted in a quick doctor visit and my having to spend most of my time with my leg elevated. I have yet to learn to run my desktop computer with my leg elevated, so computer-related activities were gravely constrained. In any event, I did not want to let another day go by without a few shout-outs to some folks I met there, many of whose names I no longer remember because of the memory issues that go along with some of the other medical problems that I struggle with from day to day. So, first, to the the gentleman with whom I had breakfast twice, thank you for your advice about conventions in general and panel participation in particular. Your insights into the world of science fiction fandom were not just useful, they were essential. Next, thanks to Will and Yvonne Morton, whose names I remember mainly because THEY took down my email address and emailed me, thereby taking the issue out of the realm of my Swiss-cheese memory. I enjoyed dinner with you and the other wonderful folks to whom you introduced me. I hope to see you at future conventions, provided I get invited to participate in programming again, someday. Finally, to the wonderful folks I met in the Staff Lounge the last night of the convention and whom I talked to such a peak of exhaustion that none were to be seen the next morning. I’m truly sorry. I should have excused myself around 1:30–it’s just that I don’t get out much and I was having so much fun talking that I presumed on your time and your energies beyond what was right. I’m pretty sure one of you was named Kris, but I an soooooooo grateful to have been invited to your inner sanctum, to have been given so much truly useful advice, and to have been the beneficiary of so much goodwill. I truly wish that I knew how to reach you directly (I checked your web site but could not figure out who was who). Indeed, I would be very grateful if some reader of these words could point the relevant people to this page so that they could become aware of these sentiments, or if someone could furnish me with some email addresses. 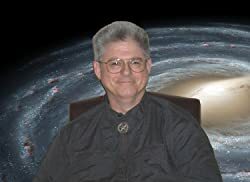 I met so many wonderful people and was so deeply surprised to be treated with nearly universal hospitality, welcome, encouragement, and acceptance–from prominent writers such as David Brin and Vernor Vinge to fans who came up to me after panels and treated me as though I were a Science Fiction celebrity. I could not have had a better introduction to conventions, fandom, and the wider world of Science Fiction and Fantasy. Thanks to everyone. The Westercon68 folks have finally provided me with the list of events in which I am a participant. The times are start and end, PDT. The names are of the panelists or participants. “Pacific 3,” “Sunset,” etc. are the names of the rooms in which the event takes place at the Town and Country Resort and Convention Center in San Diego, CA. The text in brackets is my commentary; the rest is from the official document. I’m sure it’s going to be posted on the westercon68 dot com before long.